Two more significant documentaries are due to go to air here in Australia as part of the celebrations to mark the first and only tour of the Beatles to this country 50 years ago. They arrived in Australia on June 11, 1964. 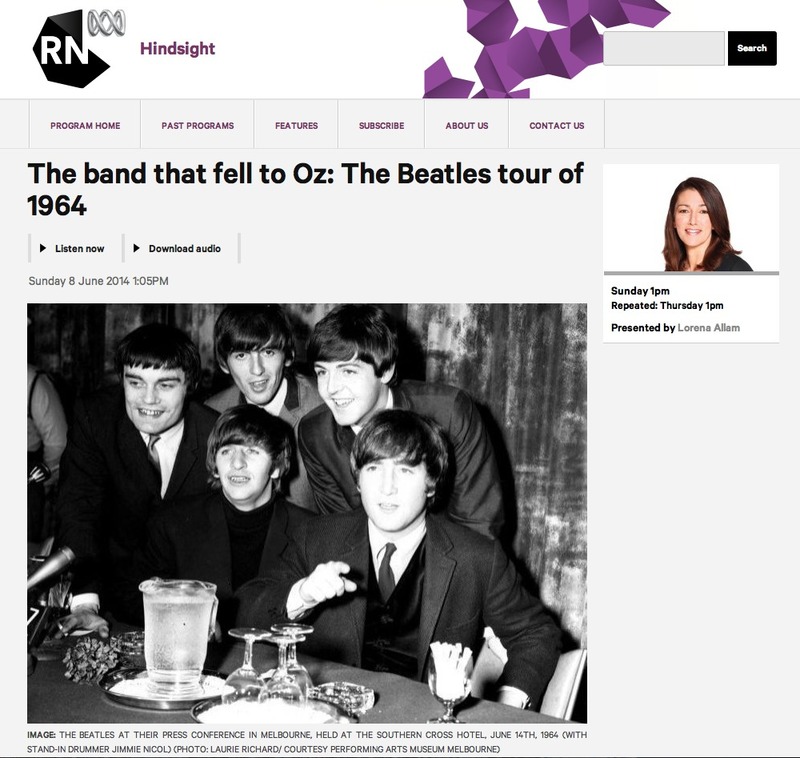 This Sunday the Australian Broadcasting Corporation (ABC) will air a newly produced radio documentary called The Band That Fell to Oz: The Beatles Tour of 1964. While it doesn’t officially go to air on radio until Sunday, you can hear The Band That Fell to Oz now as the program team have already made it available on their site to listen or to download. When The Beatles Drove Us Wild goes to air at 8.30pm, Tuesday June 10 (Australian Eastern Time). There’ll be more news on the Australian celebrations soon, including a unique 24/7 digital radio station dedicated to the Beatles. This entry was posted in Beatles, Beatles Music and tagged 1964, Australia, Australian Beatles, Australian Tour, Beatles, Music by beatlesblogger. Bookmark the permalink.